That self-assessment accurately describes much of the writing in his new collection of essays White Girls—oblique, elusive, suggestive rather than explanatory. 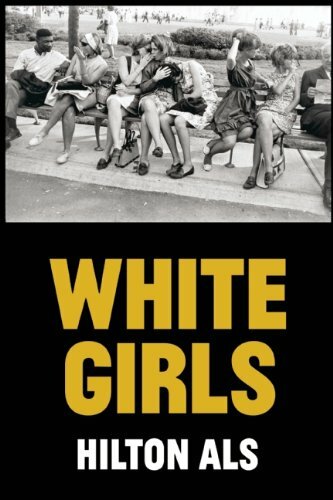 White Girls comprises 13 essays on movies, literature, art, and music, some of which previously appeared in The New Yorker, where Mr. Als is a staff writer of cultural criticism and theater reviews, some in the New York Review of Books, Artforum, and other publications. A black gay man of West Indian origins, Mr. Als writes analyses framed through the lenses of race, sexuality, and gender, but never in tendentious or predictable ways: his sensibility is too particular, too idiosyncratic for that. Take the title of this book. Who are the “white girls” he’s writing about? Some actually are white and female: O’Connor, the silent movie actress Louise Brooks, and an unnamed close friend who died of cancer. But Mr. Als also applies the label to males and non-Caucasians: Richard Pryor, Truman Capote, Michael Jackson, Eminem and Malcolm X. This often is an effective device that makes the reader consider the complexities of race and gender in a single individual. Pryor, for example, was for Mr. Als “a confusion of female and male, colored and white.” The unnamed male friend in “Tristes Tropiques,” the book’s opening essay, though African American, similarly is a fascinating mix of male and female, black and white: Als calls him “SL,” for “Sir or Lady.” And Michael Jackson, with his lightened skin, extreme plastic surgery, and long, straight tresses? Yes, he certainly can be comfortably assimilated into Mr. Als’ figurative white girl-ness. Mr. Als ponders how her autobiography might read, along the way offering some acute observations about West Indians, their “arrogance and despair,” as well as some scathing ones about the much-revered Malcolm and the fans of his Alex Haley-ghostwritten testament. But the essay ultimately feels more self-indulgent than revelatory. And there’s another way to see Truman Capote than as putative white girl. In “The Women,” Mr. Als considers the famous photograph of the author that was used for the cover of Other Voices, Other Rooms, Capote’s first novel, published in 1947. Mr. Als writes that the image is “an assertion, a point, asserting this: I am a woman.” In the photo, Capote is reclining on a sofa, gazing, with insouciant and come-hither eroticism, at the camera, and at his readers. But in making Capote one of his white girls, Mr. Als misses the point: What Capote exudes in the photo is not femininity but unabashed gayness—homoeroticism—and that was bold and for many in 1947 shocking. Still, though one can quarrel with Als about Capote, and some of his other subjects, even the less successful pieces in White Girls often boast brilliant writing and original and startling observations that make one see them in new ways. But the most powerful piece in White Girls is “Gone With the Wind,” a harrowing rumination on racism that takes as its starting point a collection of photographs depicting lynchings of African Americans. (Mr. Als doesn’t identify the book in which the pictures appear, but it’s Without Sanctuary: Lynching Photography in America by James Allen, John Lewis, Leon F. Litwack—and Hilton Als.) Mr. Als links these horrific images to his childhood memories of the film name-checked in the essay’s title, and to his identification with its heroine, Scarlett O’Hara, “my first movie star love,” and later on to women who looked like her.